The Viavi (formerly know as JDSU) ONX-580 OneExpert DSL helps field technicians fix problems—the first time, for xDSL from G.fast to ADSL. The multi-touch, user-friendly interface and OneCheck automated tests ease complex tasks with clear pass/fail results. And, its future-proof modules ensure years of use supporting access and home networks. 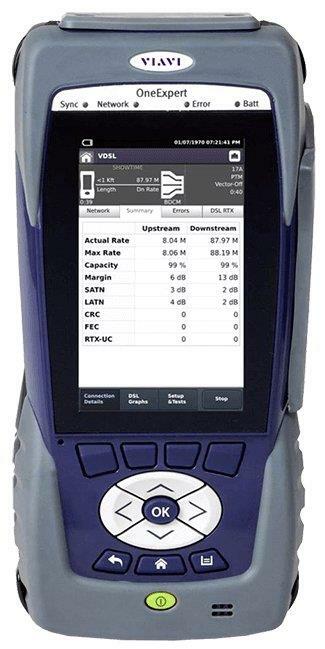 This is a direct replacement for the HST-3000 Copper VDSL tester, used for the NBN and other broadband services.